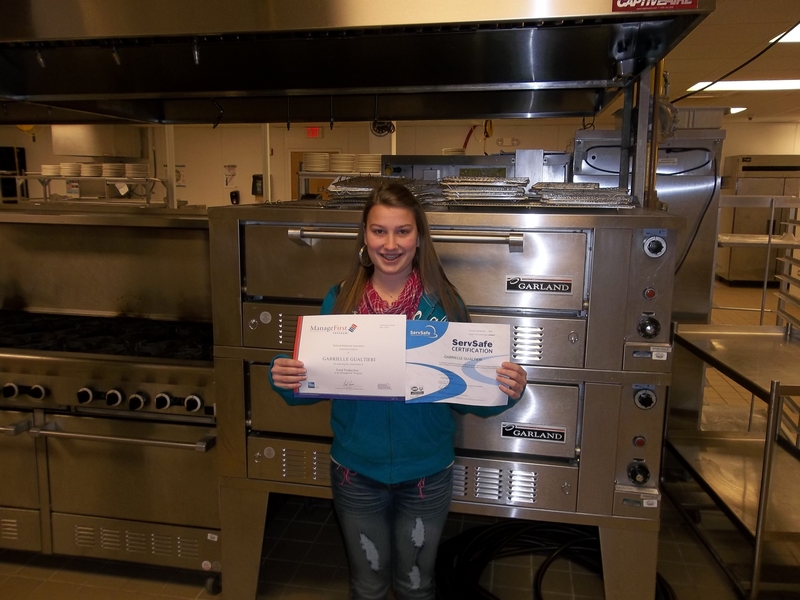 Gabrielle Gualtieri has earned her ServSafe Certification and a Food Production Certificate from the National Restaurant Association. She has completed Culinary Arts I and Culinary Arts II. She is now in her second semester as an Intern under the Culinary Arts Department working in the Bagpiper Restaurant.